Kitchen Gadgets: the Tassimo Vivy. We were recently sent a Tassimo Vivy to review. I’ve taken a look at what the family thought of it on my other blog but I wanted to put here a little more about the machine and the drinks itself. 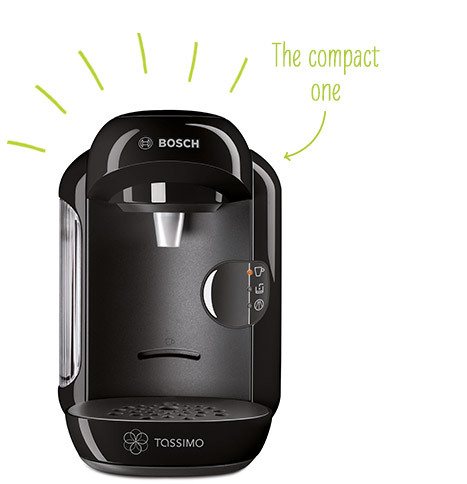 The Tassimo Vivy is a snug 17cm wide drinks machine retailing at £99.99. It comes in black and white and uses a vast range of T-Discs to create all sort of different drinks. The machine itself has an Intellibrew system which reads the barcode on the disc and automatically puts the right amount of water through the machine for the drink required. The tank is filled with cold water and holds enough for several drinks and the machine heats it instantly as required, so no waiting for it to boil. I discovered, at a fairly desperately time short moment, that you can actually have a cup of tea in your hand in less than 45s, start to finish. As each drink finishes the brewing process, the machine cleans through with a steam cycle, making it ready for the next person. All you have to do is throw out the T Disc, which is no mess and self contained. This leads me nicely on to cost; a quick bit of maths using the handy and easy to analyse information of their website shows you that drinks range from 25p a time up to about 60p, with the ‘recipe’ drinks that need 2 discs obviously requiring more. That said, you can find pretty good bulk deals on Amazon that bring that down to more like 20p and 40p and using their subscribe option, to have fresh supplies delivered every few months will also help on cost. 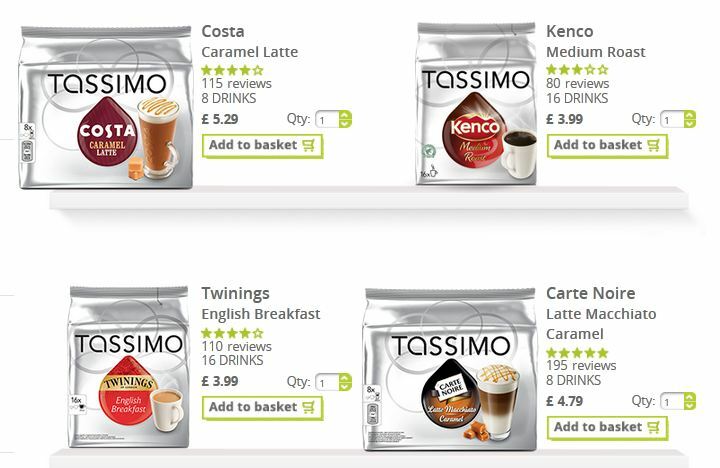 With brands like Milka, Suchard, Costa, Kenco, Twinings and Carte Noire at your disposal, this is not as cheap as a bog standard home drink from a jar but much cheaper than a coffee shop and no more than an average drinks machine in the office. It’s almost certainly a lot nicer than that last option! I’m really looking forward to treating myself to some of the Chai options and I love that I can have hot chocolate in the house knowing that if I choose to have one of them, the calories are controlled in the Disc and I can’t cheat with an extra scoop of power. It will also be good for the children who do tend of over indulge a bit at times; knowing they only have a certain amount of T Discs each is quite a handy greediness check. So overall, we liked it. I think it will stay in the kitchen and I imagine it will be a treat or possibly end up in my room for early morning teas maid duty when I can no longer persuade a single child to do that for me! Disclosure: this product was sent to me for an honest review.